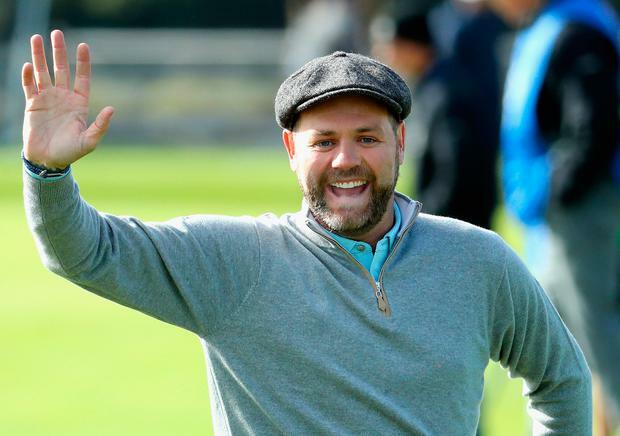 Brian McFadden would love to have "12 kids". The 38-year-old former Westlife singer - who shares two daughters Molly, 17, and Lilly-Sue, 15, with ex Kerry Katona - has revealed that he wants more children and "five dogs" because he grew up with his mum and dad's "big Irish families". Speaking to OK! magazine, Brian said: "I'd love to have another child but I'm 38 so we'll have to wait and see. I'd love to have 12 kids and five dogs that would be perfect. My dad had 14 in his family and my mum had 11 - Irish families are big!" The 'Otis' singer - who will release his first single 'Angel' from his new solo album on Friday (26.10.18) - will be putting on his skates to compete on the next series of 'Dancing On Ice' and has admitted he can "hardly lift his legs" when he has finished his training and has spilled that TOWIE's Gemma Collins is the "life and soul" of the competition. Brian - who is dating Danielle Parkinson - added: "Absolutely, I'm riddled with bruises from some proper smashes. I'm a big fella so when I go down hard. I can hardly lift my legs after training because the skates are so heavy and there's so much balance involved. You have to do all the moves as if you're balancing a glass of water on your head - if you lose your balance for a second on the ice, you face plant. "James Jordan is one of my best friends and Gemma Collins is the life and soul of the party. We were all together last weekend had the time of our lives. I met Gemma on 'Who's Doing The Dishes?' and I knew Richard Blackwood from the Westlife days. I did a deal with Danielle - I was allowed to watch gold if we watched 'Love Island' every night, so I've got some banter with Wes Nelson too." The decision to make his TV comeback, after briefly appearing on the reality programme 'The Jump' in 2016, comes after his former bandmates, Nicky Byrne, Kian Egan, Mark Feehily and Shane Filan, signed a new contract with Universal for a Westlife reunion. The skating competition will return to TV screens in January 2019.